Face Reading Secrets®, usually festive. Using when I read faces it’s festive, celebratory even. I’ve chosen today to give you an uncharacteristically somber look at changes to President Obama’s face. Today’s article concludes a three-part series of face readings. Much as I encourage you to read what follows, might I recommend that you in by checking out the first two parts of this series? And now, once again lets start exploring ways that President Obamas face has altered. Two new photographs will be introduced later in this face reading article, but they aren’t pictures of America’s current president. For starters, well be using the same photo for reference as in our first two comparison face readings. They show Barack Obama giving his first State of the Union Address in 2009 with his delivering his last State of the Union last January. Do not open this photo link unless you feel prepared to see something quite shocking. Yes, shocking. Because I’ve been reading faces since 1975, and I’ve seen a lot by way of physiognomy. Yet this pair of photographs shocks me every time. Compassion for how people suffer. And when the person with the compassion is a politician, that means compassion for his people, because he bears some responsibility for their quality of life. Taking on the suffering of others quite personally? Wrinkles and blemishes to the skin are different from other changes to the physical face. In Face Reading Secrets, such changes are no longer potential. They have been experienced before the physical changes occur. To this face reader, every wrinkle has meaning related to its location on the face. Wrinkles are consequences, karma that shows right on the physical face. And, in most cases, a wrinkle indicates something beautiful about that persons evolution here at Earth School. All that Ive written just about this kind of wrinkle goes double, paralleling how this facial characteristic has intensified. Hey, that was easy! Don’t need to be a fancy physiognomist to see that, right? 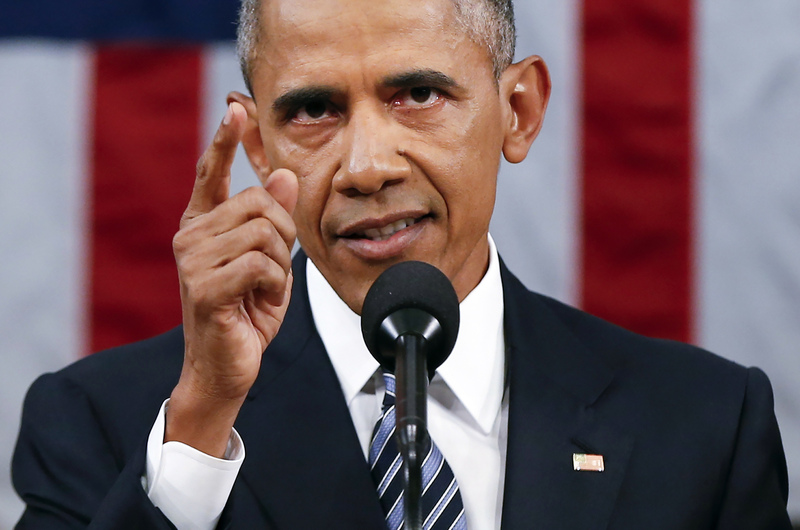 The mole has developed on President Obamas left cheek, and close to his nose. It’s easier to see it in this photograph of President Obama. Surviving insurmountable obstacles that have been deeply felt. Moles symbolize dealing with insurmountable obstacles. The location of this particular mole isnt just on the left side of President Obamas face but also on that cheek location close to a Compassion Deepener. Therefore I interpret this as Barack Obamas intense personal anguish that he has been thwarted at almost every turn, attempting to halt income inequality, end the power of the gun lobby, and otherwise improve the quality of American life. The latest example being how alleged “Constitionalist” senators are refusing to consider the President’s nominee to fulfill a seat on the Supreme Court. Although this obligation is clearly spelled out as a responsibility for US Senators. He has, so far, helped our nation to avoid a civil war. In todays 24//7 news cycle, we read a lot about two Americas and a frightening lack of communication between the two sides. We read about self-reinforcing media, a culture in the Republican party of outrageous lying without retractions, and the popularity of a certain unlikely political candidate for president. You may have heard of him, Donald Drumpf. Under these circumstances, its remarkable to me that America still manages to hold together as one nation, still somewhat indivisible. And as a reminder that a nations conflicts can move to a breaking point… taking a toll on the President along with the rest of the people… heres one more pair of photographs. Incidentally, Blog-Buddies, I know this photo looks small. So I’m going onto Facebook and posting a link to this article, including the same photograph. You can click on it here on FB and see it larger. For reading faces, seeing the details can help you to do a better job. Yes, I’ll soon supply a Facebook link to this photograph as well, so you can see it close up. Also at my little byte collection on FB. How would you have gone to work each day when the leader of the Birther delusions never acknowledged his error, or been disgraced but has instead become the Republican darling among presidential candidates? In the face of extreme opposition, our president has accomplished major achievements, including the Affordable Care Act. He has governed with both audacity and hope. Maybe it takes a face reading like this one to reveal the personal price that President Barack Obama has paid. We live in cynical times, but I am not ashamed to say that he is one of my heroes. There are all kinds of ways to fight a war Rose. You can destroy people as effectively with laws and economic policies as you can by shooting them. I can look at my own country when thinking about that. Thank you for doing these readings, Rose. They’re fascinating, as always! President Obama sure is my hero, too! As I’ve made clear elsewhere at the blog. It’s not just surviving all the hate thrown at him and achieving the amazing things he’s done. Lately I’ve watched some videos of him at cultural events at the White House and am reminded just how incredibly cool he is and what a great sense of humor he has. The way he and Michelle Obama carry themselves delights me. They sing, they dance, they seem completely in the moment at these events and it strikes me as being natural and sincere. I just love that about them, especially given all the hate and pressure. Along with the amazing way they’ve raised their poised and stylish daughters. GRACE W, you inspired me to hunt down the famous video with the girl crying after being told that Obama will be leaving office. They have the same birthday and he has been president for her whole life so far. Have you ever heard of “This is water?”. It’s a commencement speech given by David Foster Wallace in 2005 which is very popular with millennials and reflects millennial values. If you listen to it, the main message is that the value of an education is to be able to see the world from a perspective other than your own, especially in the mundane day to day. And that this, like water (if you’re a fish), is very easy not to notice. That’s what I get from aura and face readings. You can analyse the politics, and read the political magazines on an intellectual level, but this face reading of Obama really educated me about what it’s like to be a president of the US. It’s interesting to make a connection between the values that upcoming generations hold, and the work Rose is doing. You can find it on youtube. All these comments are lovely, LILIAN. I’m particularly inspired by your Comment #9. Wow. I didn’t know that moles meant something too. Can’t wait to buy your book and find out what the tiny mole on my face means. 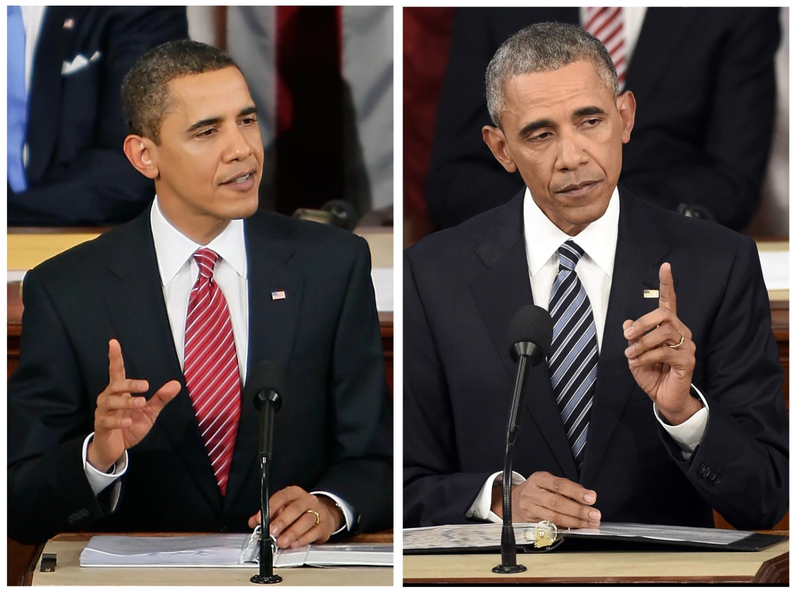 President Obama looks very tired in the second photo. The look and set of his face reminds me of the look on Nelson Mandala’s face in later years. Don’t know why, but it does. Thank you for these readings! So inspiring and they made me appreciate President Obama even more. So much beauty in every face. I love that! CHRISTINE, CATHY, DANA20 — thanks so much for your comments. Oooooh, it made me so happy to learn that little Kameria, the girl who cried her eyes out at the news that President Obama’s terms would be ending, got her wish to meet him! Wow is right! What a change….it is shocking…and before I even finished I though of Abraham Lincoln and how his photos had changed…and there it was a few paragraphs down! Exiting Cults with Help from Rosetree Energy Spirituality. Top 10 List.